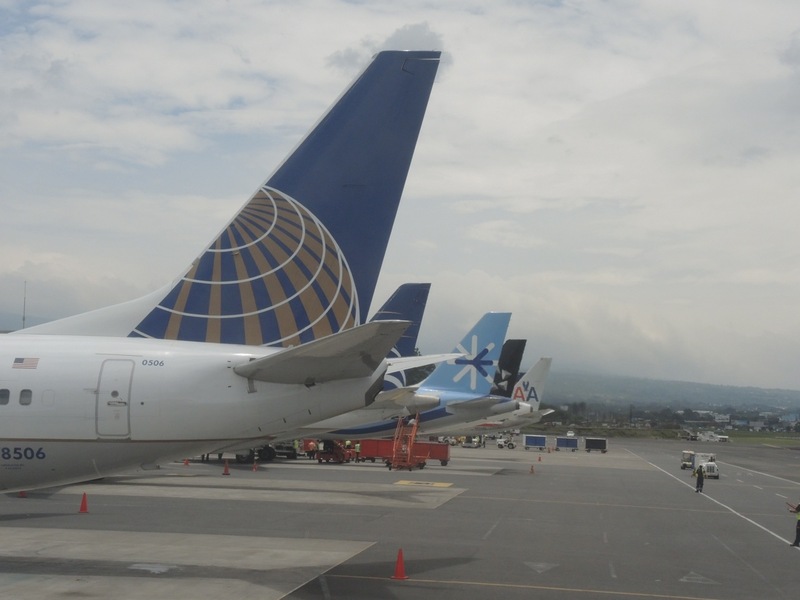 Day 1 – July 22 – Travel Day to Costa Rica. Overnight at Hotel Bougainvillea about 10 minutes outside of San Jose, Costa Rica in the town of Santo Domingo. Pulling up to the gate. Day 2 – July 23 – Early Pick-up from Hotel Bougainvillea (5:30 am). Breakfast at a restaurant in Guapiles. We drive to La Pavona to catch a boat ride to Tortuguero, accommodations at Laguna Lodge in Tortuguero. Lunch in Tortuguero with a free afternoon to explore the gardens, jungle, and the town of Tortuguero. In the evening after dinner, mist netting for bats. 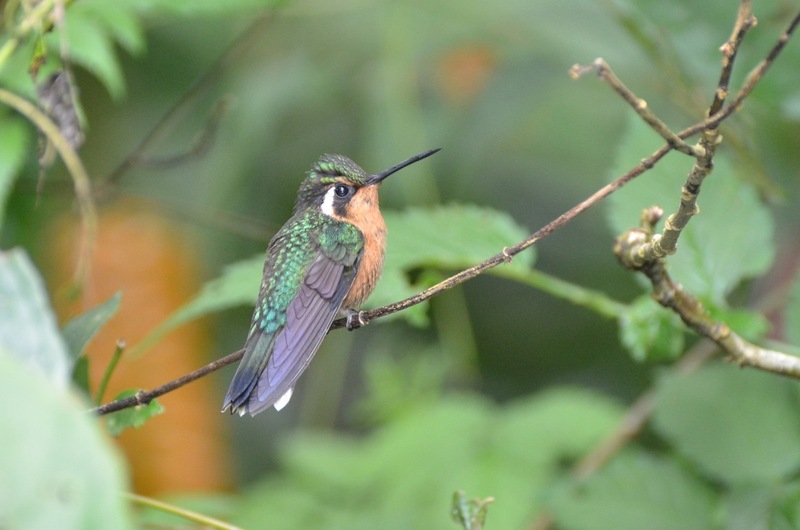 Day 3 – July 24 – Early morning birding (6:30 am). Breakfast at 7:30 am, then at 8:00 am a boating trip through the waterways of Tortuguero National Park (great birding here!!!). We return to Laguna Lodge for lunch, then at 2:00 pm we visit the Sea Turtle Conservation Field Station and Museum and also the town of Tortuguero. Dinner back at Laguna Lodge, then at 7:30 pm we have a night visit to Tortuguero National Park for a guided hike to the beach to observe Sea Turtles returning to the beach to lay eggs in their nests. Suspension bridge over the Sarapiqui River. 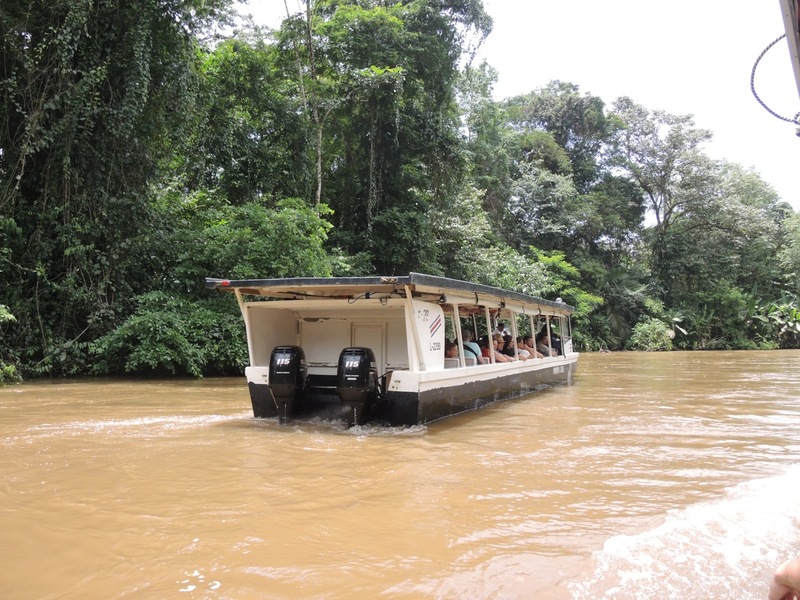 Day 4 – July 25 – After breakfast, we leave Tortuguero (8:00 am) and travel by boat back to La Pavona. A bus takes us to Guapiles where we have lunch. After lunch, we travel to Sarapiqui and check into the La Quinta Lodge (not the chain here in the U.S.). After we check in, we go back out to visit a local farm then come back to La Quinta Lodge for dinner. After dinner, we will mist net for bats at the Lodge. 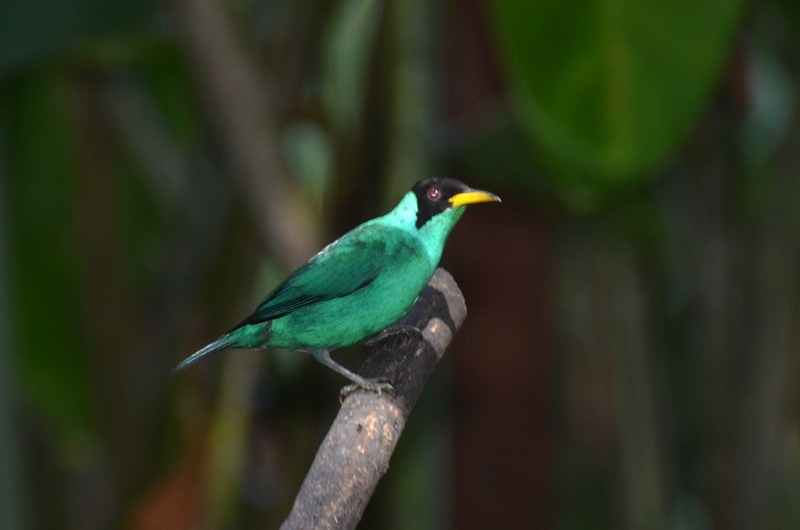 Day 5 – July 26 – Early morning birding in the gardens at La Quinta. After breakfast, we visit the La Selva Biological Field Station (an amazing place!!!). 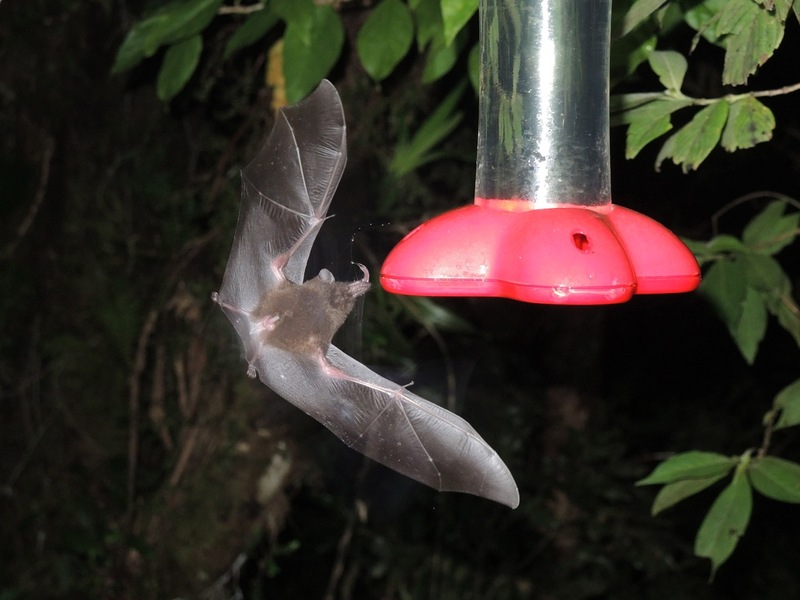 We have lunch in Sarapiqui, then we visit Selva Verde (in Sarapiqui) for dinner and also mist netting for bats. 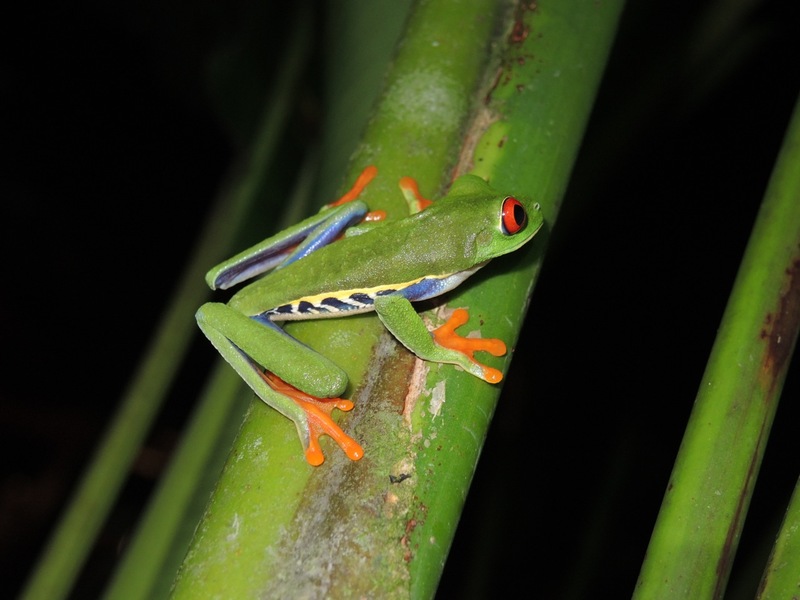 This is a beautiful area of Tropical Rainforest and is one of the places that I found a good number of Red-eyed Treefrogs…this is the famous frog from all of those beautiful Costa Rica images. 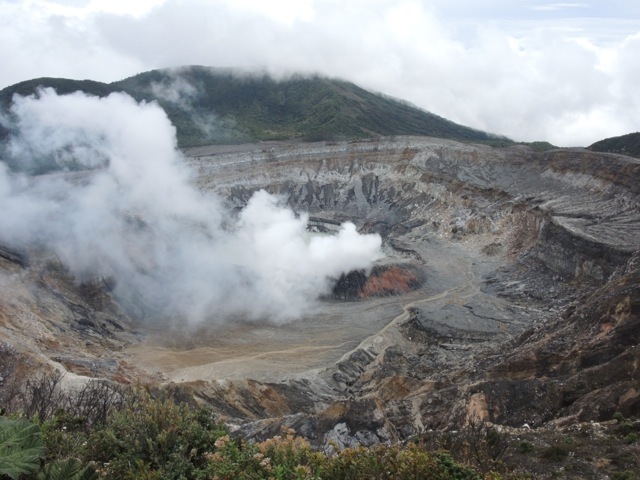 Day 6 – July 27 – After breakfast at La Quinta, we depart for La Fortuna to visit Arenal Volcano National Park. We have lunch at the Volcano Observatory then return to La Fortuna to check into Kokoro Ecolodge. After a little bit of relaxation time, we head back into Arenal to visit (and enjoy) the hot springs. We have dinner in La Fortuna and visit the town, then back to our lodging. 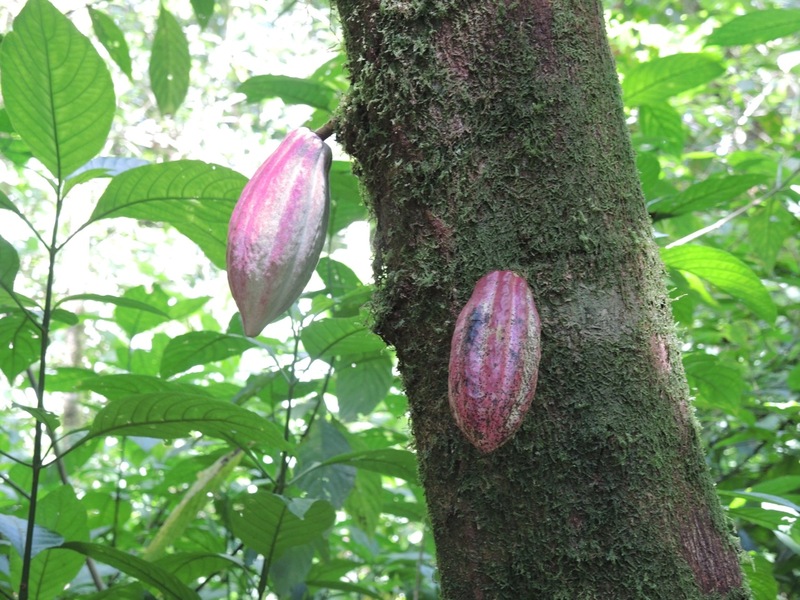 Cacao fruit – they make chocolate from these. cacao farm and also get to enjoy some chocolate. After the farm visit, we depart for Monteverde and it’s tropical cloud forests. We have lunch in Monteverde town and then check into our lodging at Monteverde Country Inn. 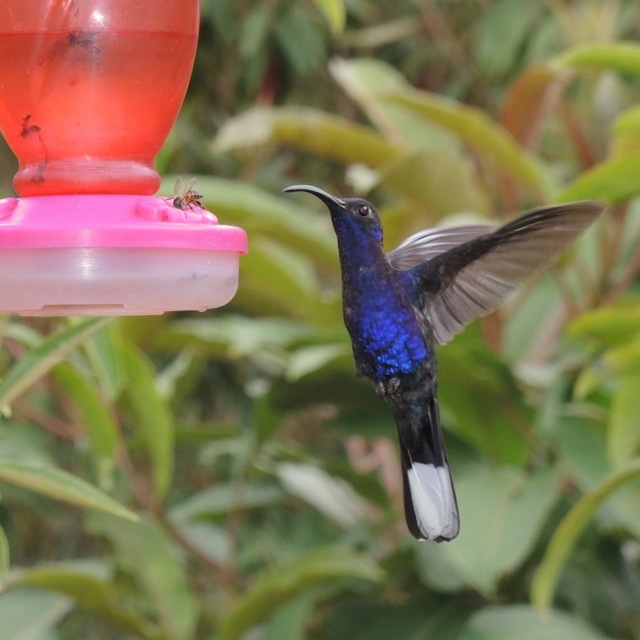 We have dinner in town then after dinner visit the hummingbird feeders at Monteverde to see feeding nectar bats and to also possibly see Olingos at the feeders (Olingos are relatives of ringtails…and anyone who knows me knows about ringtails). 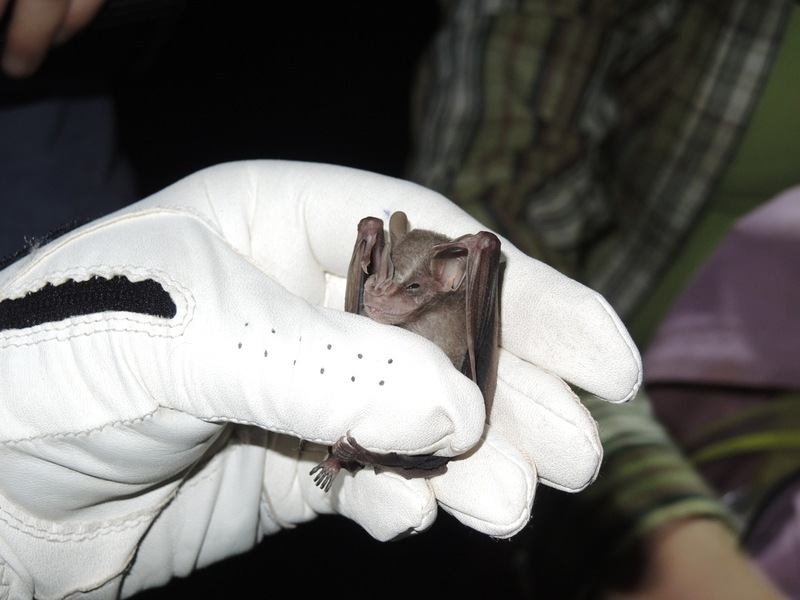 remarkable live bat exhibit and rehabilitation center). After Richard’s place, we go for a twilight walk in the rainforest at the Children’s Eternal Rainforest (this is an extensive rainforest preserve that had it’s initial small acreage protected through the action of local school children – literally having small fundraisers to buy a small tract of virgin rainforest…from those modest beginnings, the reserve is now 55,000 acres in size!). After the twilight hike, we have dinner in town then return to Monteverde Country Inn. 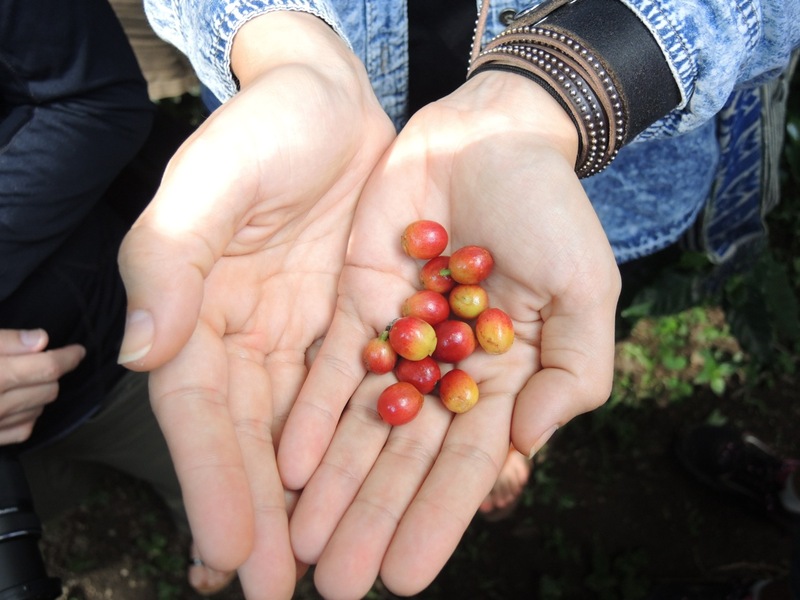 to a sustainable coffee farm for a tour. We have lunch in the nearby town of Santa Elena, then we go to Sky Trek for an opportunity to zip line through the jungle or ride an Aerial Tram through the jungle canopy. We then return to La Casona for dinner and overnight at Monteverde Country Inn. Day 10 – July 31 – After breakfast, we depart for the Pacific coast. 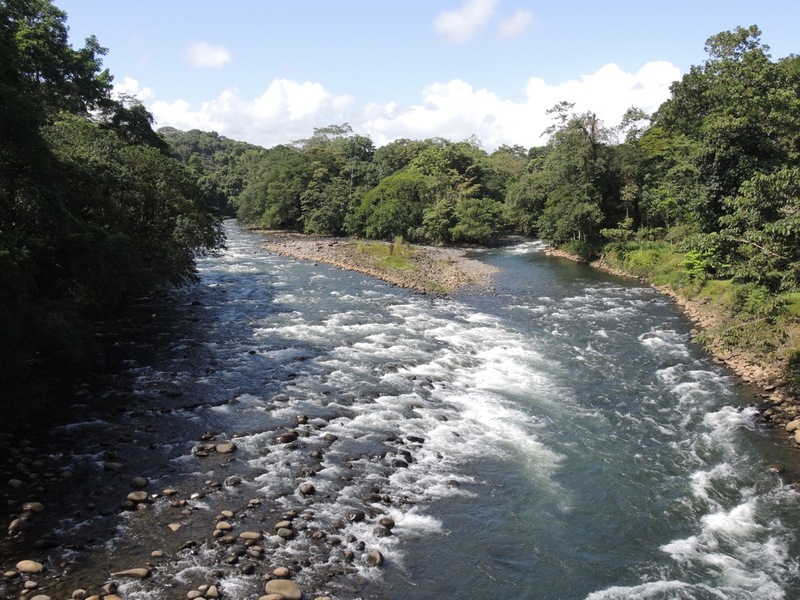 We’ll visit the Tarcoles River Bridge to observe crocodiles then continue on to Hermosa Beach and have lunch in the area. After lunch, we check into the Carara Hotel adjacent to Carara National Park and also take a boat ride into the National Park for more wildlife observation (Scarlet Macaws are present here so hopefully we’ll see them). In the evening we will mist net for bats (there is a good chance we’ll be able to catch Greater Fishing Bats here). Dinner will be at the Carara Hotel. 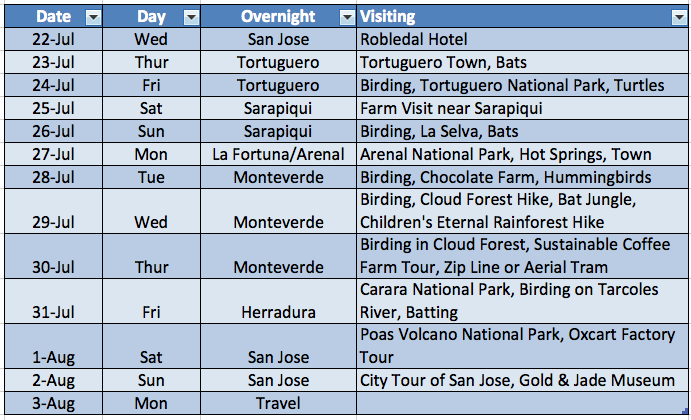 Day 11 – August 1 – After breakfast, we travel to Poas Volcano National Park (great birding here too). After visiting the Park, we’ll go to the town of Poasito for lunch. After lunch, we’ll visit a local factor that makes Oxcarts to learn about this great cultural activity. In the evening we check into the El Sesteo Hotel in San Jose. Day 12 – August 2 – After breakfast, we have arranged a tour of the City of San Jose including a visit to the Gold and Jade Museum. We’ll have lunch at the Central Market (have a bit of cash for that) then explore the city further on foot. Dinner is on our own and we will stay overnight at the El Sesteo Hotel. Day 13 – August 3 – After breakfast we can depart to the airport (depending upon your flight time)…or you can feel free to extend your stay in Costa Rica. At the airport, we’ll need to have $29.00 USD each or the Costa Rica departure fee (this is not included in the airfare).